Like millions of women around the world, African and Middle Eastern women often face difficulties embracing their natural hair, which is usually curly in nature. Curly strands have been misunderstood, looked upon by many Egyptians as inferior to straight and sleek hair. As a result, many women resort to quick fixes like chemical relaxing and heat styling in order to appeal to society's vision of beauty. 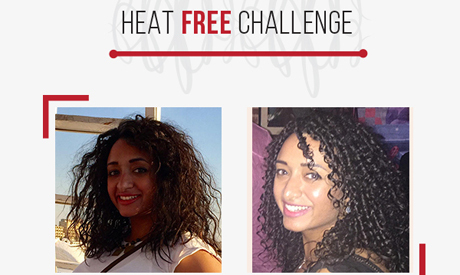 "The Hair Addict" initiative is a movement for natural hair in Africa and the Middle East. 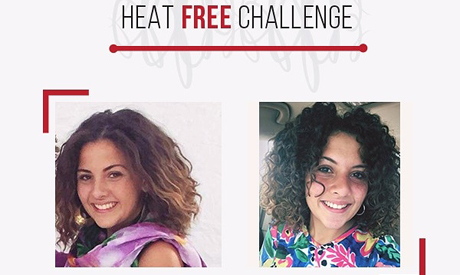 It began gaining significant traction in 2017, but draws on a trend that has been growing worldwide since the late 1990s with the release of the Curly Girl Method Handbook and the spread of salons focused on natural and curly hair. 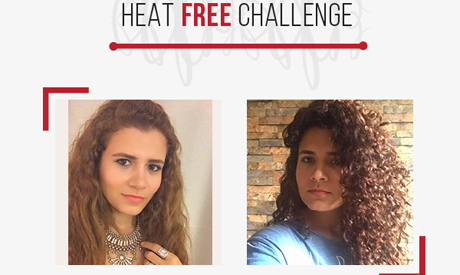 Ahram Online met with Doaa Gawish, the Egyptian woman founder of "The Hair Addict” group on Facebook. Gawish got started in March 2016 and began promoting the idea of women standing their natural ground and embracing their natural hair, sharing stories about celebrities embracing their natural hair and blog articles on styles in natural hair. The group was a great success and grew rapidly. “We created parallel Facebook and Instagram pages. The three pages have now around 180k followers in total,” Gawish commented. Women who faced problems with their curly hair usually complain about frizz, repairing damaged hair, and transitioning to natural hair and hair re-growth. “We monitored common complaints in order to target our content to fixing these problems. In addition, we provided quality content that guided followers on their natural hair journey," Gawish said. “Some members took the initiative to test these methods for themselves. Members witnessed the results and shared their success in going natural, motivating those who had second thoughts,” she added. 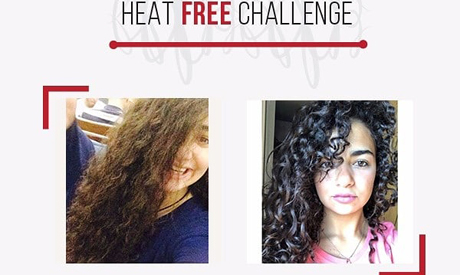 The heat-free craze is sweeping Cairo and Egypt in general, too. It now a trend of empowerment, making girls and women realise that they are beautiful by nature. “Women are not in need of chemicals or straightening tools that are eventually harmful. Besides that, going natural is ultimately easier,” Gawish noted. The Natural Hair Festival will be the first event of its kind in Africa and the Middle East. It will take place 1 September at the Fish Garden in Zamalek, Cairo. The festival will be full of interesting activities, all aimed at helping women celebrate their natural beauty. “The Hair Addict is the organiser. We intend to hold the event on a semi-annual basis,” Gawish added. Admiration for natural hair is steadily growing among Egyptians. “Now, many people accept natural hair over chemically and heat treated hair. Of course, there was some stigma around natural hair and there were people still against the concept, but we are slowly changing that, and the future ahead looks bright,” Gawish told Ahram Online.